Uploading a floor plan in HoloBuilder is a straightforward process. 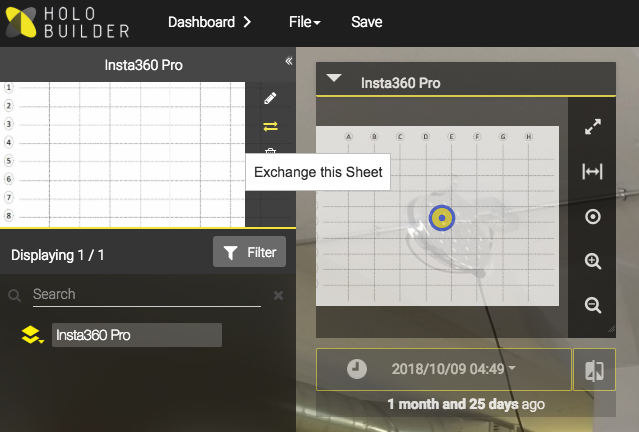 Simply tap the "+" icon at the bottom of the screen to import a new sheet from the web editor. In practice however, the floor plan is never definite. Change orders are always being reflected in revisions. When you populate your current floor plan with waypoints, and a new revision is released, you will not have to re-upload all your images on the new floor plan. Simply swap your current floor plan for the new one, and all your waypoints will remain in their respective locations. In order to swap your current sheet click on the sheet in the project panel, and then the ⇄ icon. 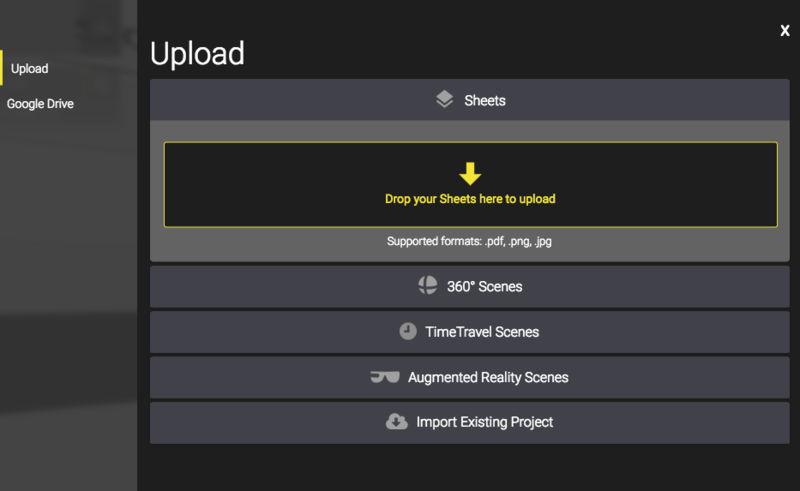 Click "OK" at the prompt, and proceed to upload a new sheet. Browse your computer for a new floor plan and once you click "open" the existing floor plan will be replaced. All your waypoints will remain in exactly the same position, including TimeTravel scenes. Note: The new floor plan should have the same scale as the existing floor plan for the waypoints to be in the same physical location.